Rose doesn’t have her ears pierced, nor does she have the desire to get them pierced. She does love the look of wearing earrings though. We have tried clip-on earrings before but they have either fallen off from being too loose or pinched her ears so bad she doesn’t want to wear them. I was very intrigued when I came across EarZings website and their pierce-free earrings. Earrings that stay on and don’t pinch? Rose would be so thrilled – especially with the cute styles they have on their website. EarZings are the brainchild of a mom and founder of the company – Laura Pfaff. These earrings are made in the USA and are Nickel free, Lead free, cadmium free, and free of all other heavy metals and Hypoallergenic. 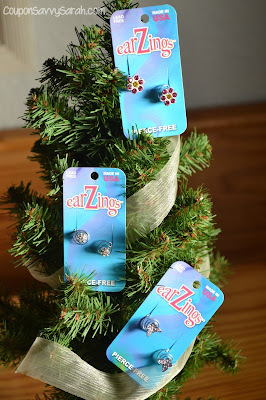 What makes the EarZings patented design so unique and different from other clip-on or magnetic earrings is the comfortable coil design. The EarZings coil construction applies gradual tension to gently, but firmly, affix the earring to the earlobe. 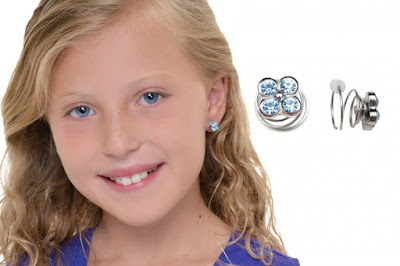 This exclusive design allows for unparalleled pierce-free comfort, as well as allows them to stay secure to the ear. 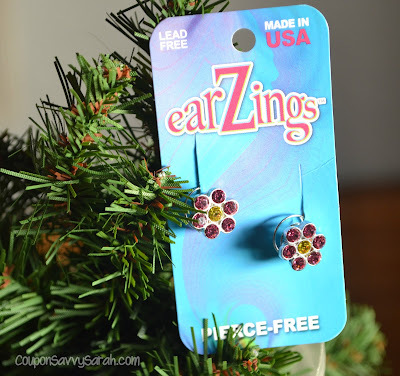 The subtle coil also makes EarZings look like real pierced earrings since there is no clunky hinge or screw like with traditional clip-on earrings. 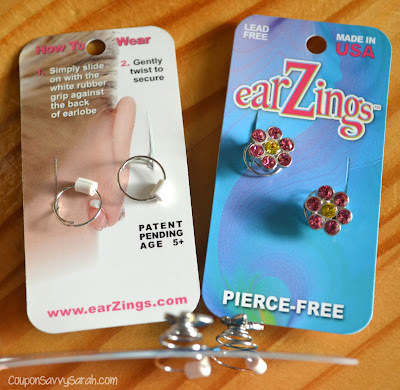 They even have a short video here demonstrating how easy it is to slip these EarZings on! Position rubber grip one half turn from start of the wire. Hold EarZing by the charm, not by the spring. Stretch earlobe away from face with your other hand. I can’t wait to give these to her. I picked out some designs that I think she will love! After Christmas, I will let her visit the site and see what other designs she likes and order a few more. 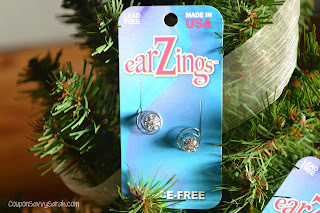 EarZings earrings retail for under $15. As a parent, knowing these are lightweight, will fit Rose perfectly and actually be worn versus clip-on earrings that pinch and have long been discarded – I would happily buy more of them for her! EarZings earrings are available for purchase on their website in addition to being available at select store nationwide (here is their store locator). Be sure to Follow EarZings on social media for the latest new products, promotions and more!